Does HLS Support DMX Open Dongles? Discussion in 'HLS (Hinkle's Lighting Sequencer)' started by David_AVD, Oct 11, 2013. I looked around, even downloaded the software but can't figure this out. Does the HLS software support output via a "DMX Open" dongle? you will see your channels and univers assignment click on transport and select usb- dmx . then you can select your dmx dongle type . 0 channel assignments will show in output config dialog until you have a display group and universe # created for them . Thanks for that. I had a customer (ACL member) ask so have directed him to this thread. 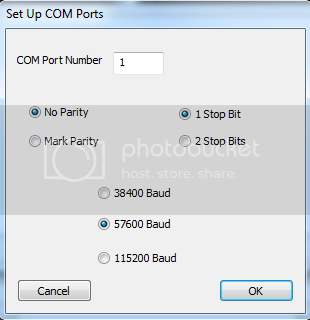 Which is found in the Output > Setup COM ports menu. I got it going just now before seeing your video anyhow. Thanks for it tho, hopefully someone will make use. Done with the puppies and running with the big dogs then eh !